Something unusual happened this weekend...it didn't rain during my run! 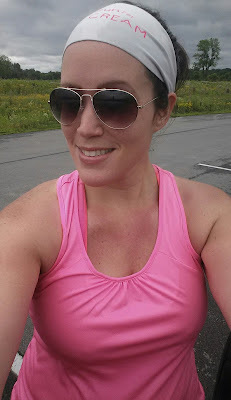 It was cool and cloudy, and it did start misting when I first started out, which felt wonderful. But it didn't last for long. But, I only did 5. Jeremy wanted to go see Jurassic World (Ok, I'm kidding, I wanted to go see it.) and it did not disappoint! 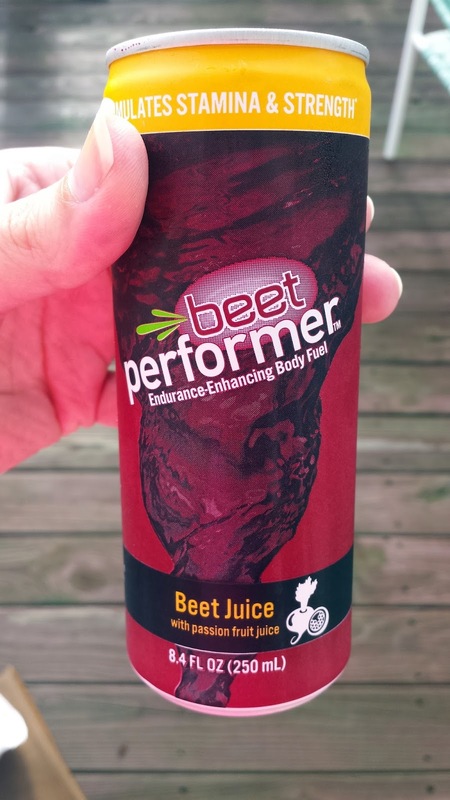 Before heading out for my run, I remembered that I had some beet performer juice, that I got from a race. It had been in the fridge for awhile, so I wanted to try it out. I took 2 sips of it and almost gagged. It was bad. Not sure how people drink that stuff! Saturday night I hung out with my friend, Melissa, of 20 years for a few hours. Having been friends for so long, it's so much fun remembering the crazy things we did when we were teenagers. Well, the crazy things she talked me into...heehee. 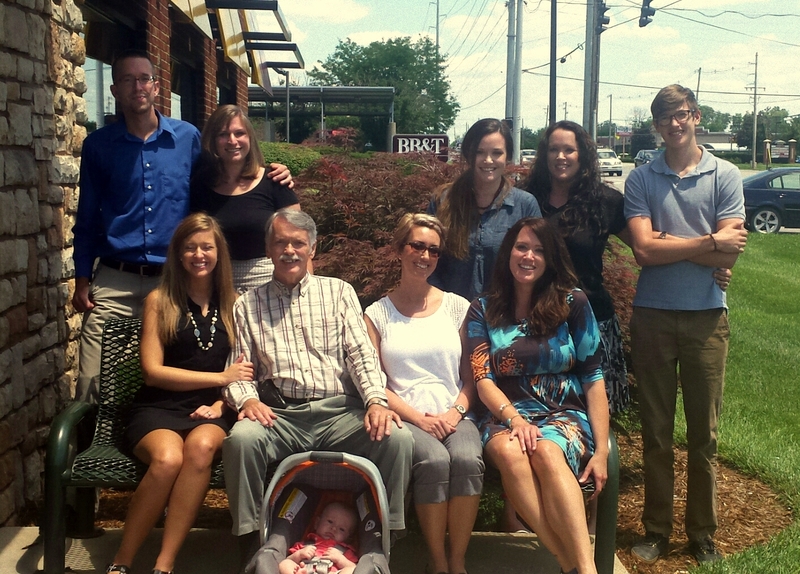 And then Sunday we all took my Dad out for Fathers Day. 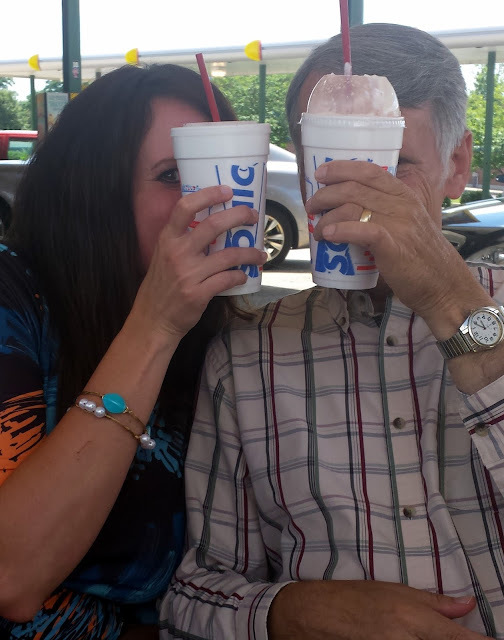 He is the best Dad in the world. Seriously, he raised 9 kids, on one income. (Mom was a stay at home mom, of course!) He has always been the kindest, most loving man. 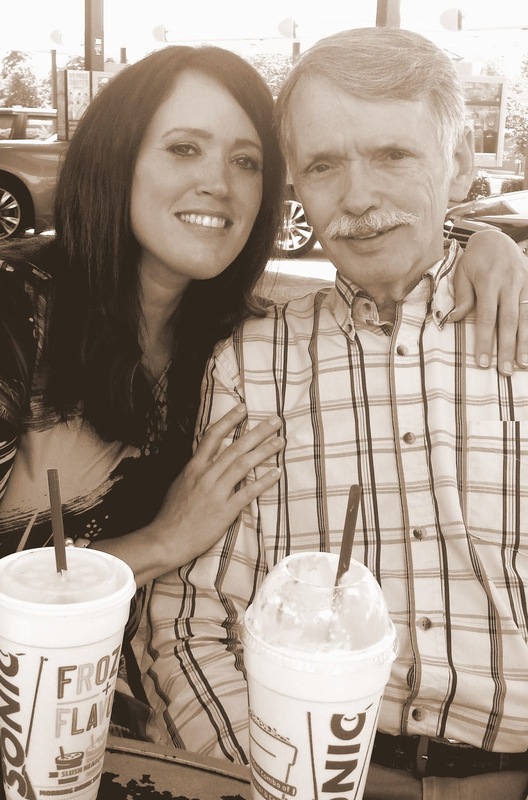 From the time I was a little girl I said I wanted to marry someone just like my Dad. God has truly blessed me! He has the best sense of humor too! 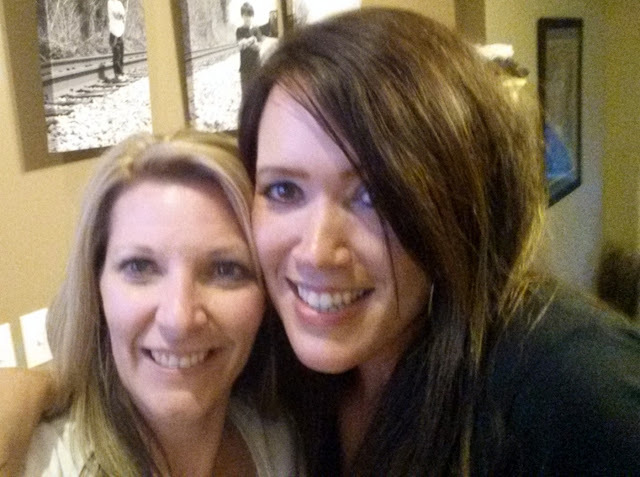 I am once again linking up with the lovely Tara for the weekend update! Today I am starting a new 'diet', although I hate that word. Tomorrow I'll tell you all about it! Okay, I'm so glad that you enjoyed the movie; Jonathan and I are both off work on Friday and our plan is to go for a run and then hit the movie theater. We both said that's the one we want to see!! I'm so glad you got a "non-rain" run in this weekend; good grief! This picture of you and your family is the coolest; what a beautiful group. I didn't know/remember that you have a TWIN!! Wow! Um, that beet juice does NOT sound good; I like roasted beets, but I can't imagine drinking the juice - yikes! Thanks so much for linking up with the blog and I hope your week is off to a great start! I've made roasted beets before, and they were ok, but I'd never make them again. I will never try anything with beets again. Have a great week! I saw Inside Out last weekend. I made it through the first round of sad but then they got me with the second round, just when I felt I was safe. I hate the word "diet" too, but these pounds ain't gonna lose themselves. haha I put on a little fluff while I was out with an injury for FIVE STINKING MONTHS. We saw Ted 2 Saturday night. Loved it! I hate that the beet juice was wasted on you! lol I love that stuff! Although I've never tried it from a can. That may be a totally different animal. I have a juicer, so I've only ever had FRESH beet juice! I haven't seen this movie yet, but I am looking forward to it when I can! I did see San Andreas and loved it, just great unrealistic action pretty much the entire time, non stop fun! Can't remember the last movie we saw. :( I think McFarland. Haven't tried beet juice; I do tart cherry once in a while when I remember. Don't waste your time with beet juice. ;) I think I would like tart cherry! You have such a beautiful family. God bless your dad for all the hard work he has done. I cant imagine that Beet drinking being even slightly good. Ew! I have a juicer, so made my own beet juice a couple years ago. I added in a lot of other fruits too, so it wasn't bad. But I'll never drink it again! Yes, see Jurassic World when you get a chance! You have such a gorgeous family! And I love all their names! Your Dad and Mum most have been hardworkers! Thank you so much Jess. Yes, they sure were!! "Diet" should be banned from the vocabulary. Even my 11 year old daughter has a misunderstanding of the word -- she was confused why I checked the box for "regular diet" on her camp registration -- "I'm not on a diet!" "I know but that's how they describe what you normally eat -- not that you're trying to lose weight or anything"
I've only ever had beet juice when I was in a juicing phase and it was in my recipes. Drinking it alone? I don't think I could handle it! I totally agree!! I can imagine that word is even more confusing for kiddos. I was on a juice fast a couple years ago, so I juiced some beets and other fruits. It wasn't too bad, but I never made it again. But this canned beet juice was just too much! I want to go see the new Terminator movie this week!! Nice picture of your family. I'm sure Jeremy and the boys will want to go see that too! Thank you Mark. I thought Jurassic Worlds was a lot of fun too! What a happy family! You all look great. Yeah, not so sure I will be trying beet juice anytime soon. I never go to the theater, but I totally broke down and went to see Jurassic World too. Your dad sounds like a great guy! And it's so nice to see old friends isn't it? Beet juice, blargh :O! That sounds terrible. Jurassic World was awesome!!! We went to see it, and I was loved the actors they chose. Running in heels was badass haha.